When searching for gift ideas, make sure you give gifts that actually benefit people and not gifts that they secretly resent you for. The world’s culture is riddled with days where we are encouraged to buy the friends and family we love gifts – from birthdays to valentine’s day, anniversaries, easter, thanksgiving and christmas. Sometimes the advertising pressures to buy people gifts on certain days can be a bit much, but overall gift-giving is a great practice and a great way to maintain and deepen relationships with those that matter to you. Sharing is caring. However, the very nature of a gift is that it must in some way enrich someone’s life. If it doesn’t do that then it’s not a gift, it’s a BURDEN. Some of the ‘gifts’ I’ve received and that I see people giving these days actually make people’s lives worse. I’ve found myself on more than one occasion resenting people for buying me something with no practical value; something that I know will just sit on a shelf and cause clutter in my life. In this article I’m going to show you a list of gifts that people will always be able to use and always appreciate. 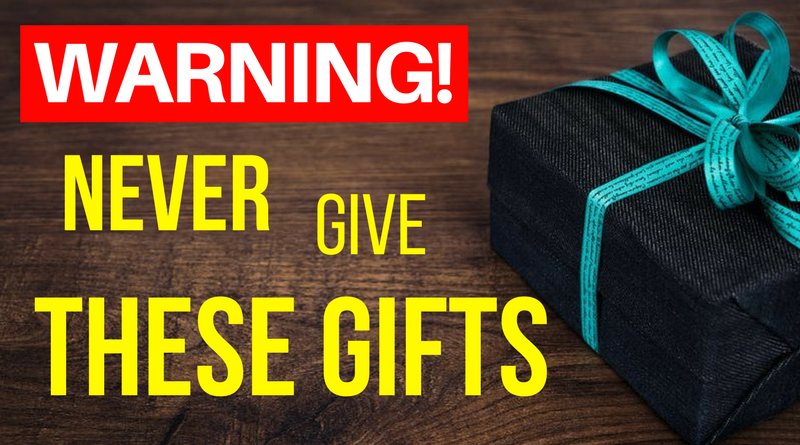 Give the wrong gift and you could be causing loved ones to feel resentful towards you for burdening them with something that will cause clutter in their lives or that they will never use. Giving gifts can deepen your relationships and enrich both of your lives. However, give the wrong gift and you could be causing them to feel resentful towards you for burdening them with something that will cause clutter in their lives or that they will never use. I am a very neat an organized man – my success in business, in relationships and in life depends on it. So when one of these holidays rolls around and somebody buys me a something that was designed to sit on a shelf, something with no practical value that simply takes up space and creates clutter, I actually feel angry about it. Of course, like anybody who just received a gift I show my appreciation with a hug, kiss and a thank you… but deep down I feel resentment and wish the exchange never took place. Make sure you don’t do this or your generous gift could end up having a toxic effects on your relationships. In order to avoid this situation in the future, I’ve written this article of gift ideas to clear things up. Here is my list of 100 gift ideas so that the lives of the people you’re giving to will be enriched by a gift for which they will be truly thankful. I will be adding to this list until it reaches 100. 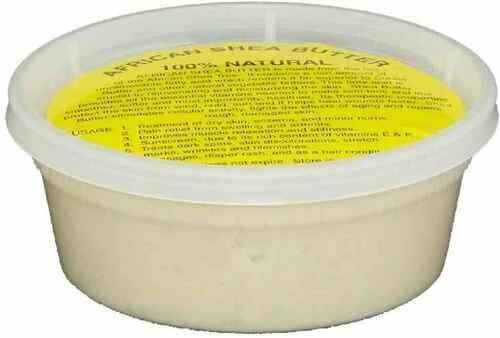 About 5 years ago I purchased a quart of pure African shea butter from a friend’s online store. I remember opening the container for the first time and being amazed by the beautiful, rich, golden-yellow skin cream inside. Many women are fooled into buying ‘brand name’ skin creams that they think are pure from modern stores and outlets. What they fail to realize or notice is that the ingredients usually include a cocktail of other toxic chemicals, preservatives and other additives that are harmful to the skin. When it comes to health and beauty, let nature take care of you. Shea butter nourishes the skin with vitamins and its saturated fat content means it protects and heals the skin and will last a long time without preservatives. There is no better facial or skin moisturizer than pure African shea butter. Buy it for someone you love today. Have you looked at the ingredients list on your drugstore deodorant lately? You’ll find that they’re loaded with a long list of difficult-to-pronounce chemicals that are toxic. 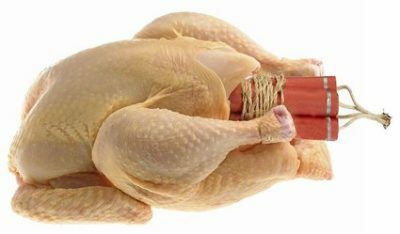 Rule of thumb: Never put anything on your skin that is unsafe to eat. Using chemical deodorants day after day damages the skin of your armpit, and even worse, those chemicals are constantly being absorbed into your skin and causing a gradual accumulation that can contribute to virtually all diseases like cancer, heart disease, diabetes, etc. 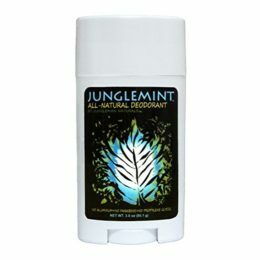 Many people have tried the ‘organic’ deodorants available at stores and have either found that they too contain unwanted chemicals or they simply don’t work. I’ve spent years testing over 12 brands of deodorant and I’ve found one that works BETTER than any conventional drugstore deodorant AND has only 4, super-clean ingredients. Drugstore soaps and shampoos contain numerous toxic ingredients that are easily absorbed through the scalp and entire surface skin of the body. I don’t think it’s a stretch to suggest that scrubbing toxic chemicals into the scalp could be a large contributor of hair loss in both men and women, not to mention a large contributor to diseases of all kinds. One of the best things you can do for your health (or someone else’s by giving them a gift) is to clean up the shampoo and body wash you use everyday in the shower. The brand I use and recommend is Dr. Bronners because it has minimal ingredients that are non toxic and will actually have beneficial effects on your skin and hair body. Rebounding is one of the most efficient forms of exercise ever developed. Not only can you achieve a full body workout in about 7 minutes of jumping, but rebounding is actually fun, so it won’t just sit in the corner collecting dust. 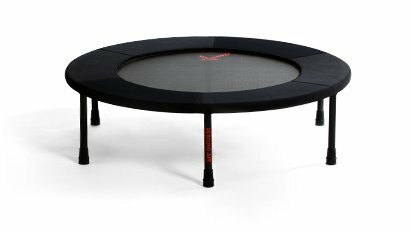 I’ve had my ReboundAIR rebounder for about 7 years and I still love it! The best thing about rebounding is that it can do what no other piece of exercise equipment can. It exercises every single cell in your body, including your bones, ligaments, heart, kidneys, eyes, brain and every other cell. Furthermore, the up-and-down motion pumps the lymph or detoxification system of the body, which benefits your health by eliminating chemical toxins. The result is shorter workouts with more benefits than are obtained through spending hours in a gym. Buy someone you love a rebounder today. Infrared and Red Light Therapy are the most powerful forms of medicine ever discovered. When healing red and infrared light penetrates into cells of the body, it corrects the ROOT CAUSE of disease – cellular defects. 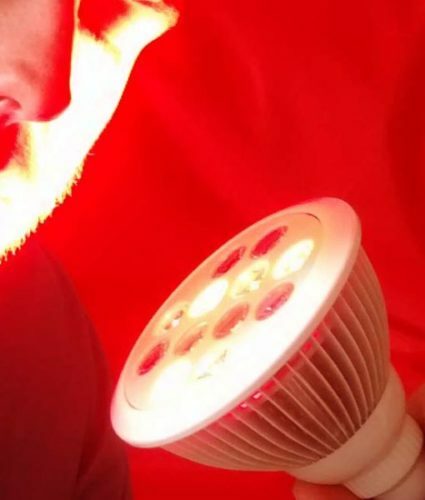 Currently FDA approved for reducing pain, red light has been shown in the scientific literature that it can benefit hundreds of diseases and conditions. There’s nobody who cannot benefit from using infrared and red light therapy regularly. Buy someone you love a red-infrared light therapy device today. A bath bomb is an amazing gift because it’s both fun and comes with enormous health benefits. Bath bombs are essentially sodium bicarbonate (baking soda) combined with an acid (usually citric acid) with sometimes some color and fragrance added. Once added to a bath, the bicarbonate undergoes a reaction with the citric acid and a stream of healing carbon dioxide is produced. Politicians love to tell the public that carbon dioxide is a waste gas, but in reality it is one of the most important substances for your overall health. See my article on Dr. Buteyko to learn more. Bath bombs are fun and awesome gifts to give. Buy some for everyone you love. 50% of people alive today are going to get cancer in their lifetimes, according to governments worldwide. Will you be one of them? Or will you join the millions of people who have began thinking for themselves and waking up and realizing the cancer industry is the problem, not the disease? In this book, you’ll go on a tour of over 2300 scientific studies, exploring surgery, chemotherapy and radiotherapy and whether or not these treatments even work. Next you’ll dive deep into a cancer cell and learn what causes a healthy cell to become cancerous. Finally, you’ll learn about a number of alternative medicines that blow conventional treatments out of the water and how a cancer cell, without ‘killing it’ can be reversed back into a normal, healthy, functioning cell. Knowledge is power and it could save your life. Empower your friends and family with this monumental work. This article is a dynamic piece of writing and will continue to grow as I add more great gift ideas in the future, until we reach 100+! This list of gift ideas will help you find gifts to give that you can feel good about. The people on the receiving end will benefit from greater health and they will truly be thankful for you. I hope you enjoyed this list of gift ideas and happy gift giving!